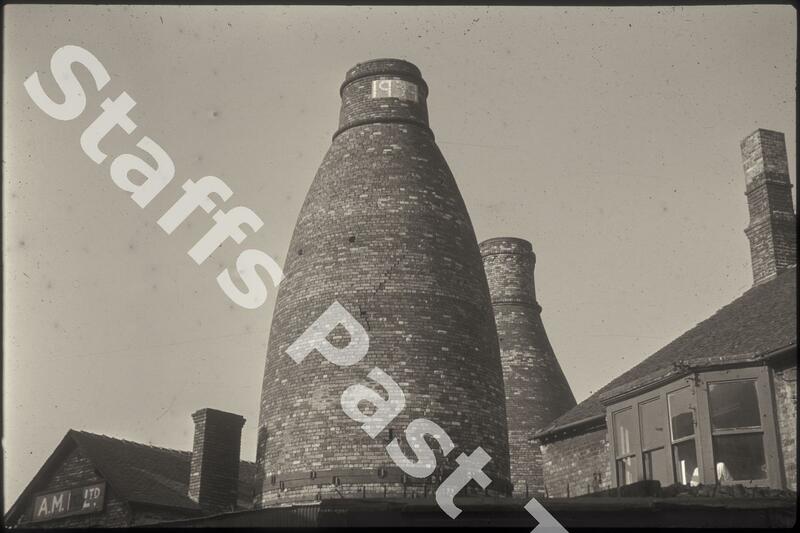 Description:The bottle oven built or renovated in 1939 at Gallimore's Garfield Pottery on Barker Street in Longton. 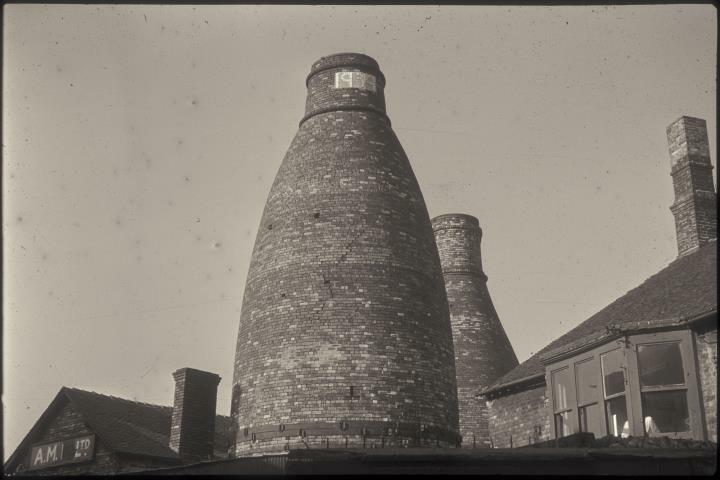 the Garfield work had a number of owners from Albert Jones in 1905, Roper & Meredith from 1913 and later Garfield Pottery Ltd. Around the base of the oven are bonts or bontings: iron bands used prevent warping caused by high temperatures during firing. The iron bands were up to 8 inches (20 cms) wide and 3/4 inch (2 cm) thick). They were made in short sections and then hooked together. These stand out clearly in the photograph.